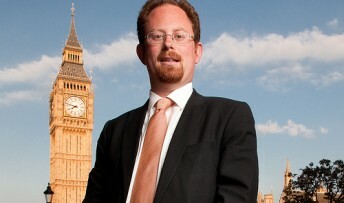 MP Julian Huppert has welcomed the news that 1,060 people have joined an apprenticeship programme in the city in the last two years as the country celebrates Apprenticeship Week. The figure includes Julian’s apprentice, Mark Woodstock, 19 who has completed nine months of a Level 2 Business Administration apprenticeship. Mark, who has been working in Julian’s Cambridge constituency office, said: “My apprenticeship has been so valuable; I have learnt so much. “After taking my A levels I really didn’t know what I wanted to do. I wasn’t ready to think about going to university but I knew I needed to get some real work experience if I were to find a permanent job. “Working in Julian’s office has improved my confidence, given me invaluable experience of dealing with people face-to-face and on the phone and I have learnt so much about general office practice. Julian, who recruited Mark as part of Cambridge Regional College’s 100 Apprentices in 100 days initiative said: “Mark has fitted in to my office so well and become a valuable member of the team. He is enthusiastic and hard working and is really making the most of his apprenticeship. “The apprenticeship programme is great for giving people the chance to learn real skills in the workplace; and businesses really benefit from having them on board.